"Formed as The Illusions (and briefly The Y’alls) in Amarillo, Texas, the group blended garage punk with killer harmonies and a slight sense of the absurd. Picking up steam locally in the mid-‘60s, the members started to think about cracking it on a bigger scale, and, in 1966, moved to LA. “Almost immediately upon arrival, we auditioned for Lee,” says guitarist/vocalist Mark Creamer. “He said, ‘Deal.’" Another of Hazlewood’s coterie, Suzi Jane Hokom, was charged with producing the group, making her a de facto female pioneer in the industry. 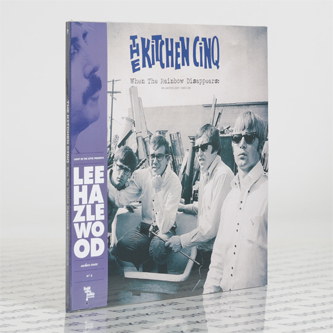 By 1968, The Kitchen Cinq issued a total of five impressive singles and one album, Everything But. They recorded a surprisingly vast amount of material, all of which is collected here. Their version of The Beau Brummels' "Still In Love With You Baby" was a regional hit in many cities, but they were still chasing a big hit, and the LA dream was wearing thin. In the end, the industry burned them out: the endless gigging, the radio spots, the long journeys–including an ill-fated East Coast tour that required them to drive from LA to Florida in three days. “I think LA ate the Texas boys; I really feel that way,” says guitarist/vocalist Jim Parker. The group split in ’68, and the members spread off into bands including Them, rock outfit Armageddon and, eventually, careers in studios. One–temporary member J.D. Souther–has a recurring role on the popular soap opera Nashville. 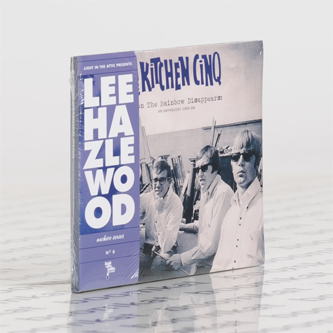 The Kitchen Cinq was just a springboard for each of them, but listening to these overlooked works of beat-pop brilliance, you can’t help but wonder why it didn’t work out for the Texans at the time. Their songs–all of them–live on in this anthology."